Great collage! We think you could be bookends...just sayin'. Those are Fabulous Pics of you Chris. Those are some lovely pics! Cool - love the color of your furs!!! Just 2 of your many sides! Very nice, Christmas! You are one handsome dude!! Why are you eyeballing her so hard?? Did she do something wrong? 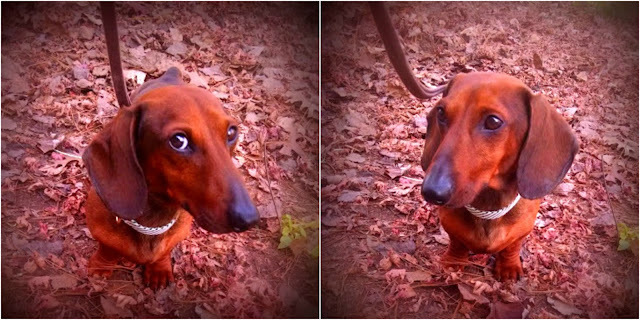 how beautiful you are... mother nature gave you the bestest dachshund color ever!! !